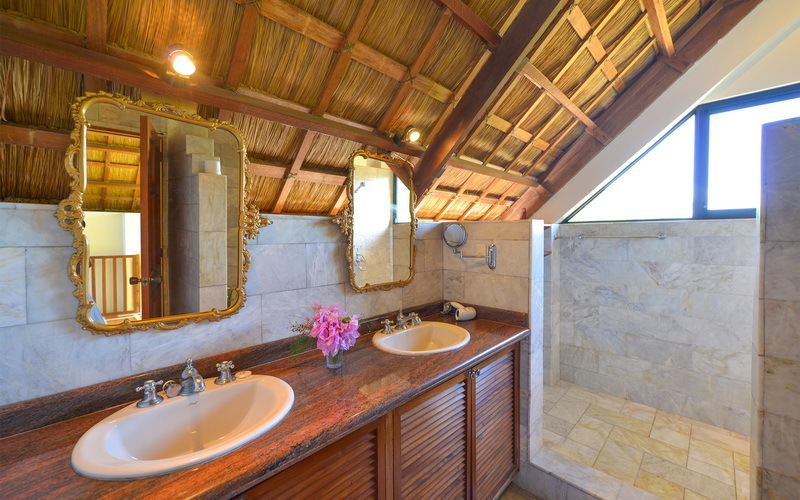 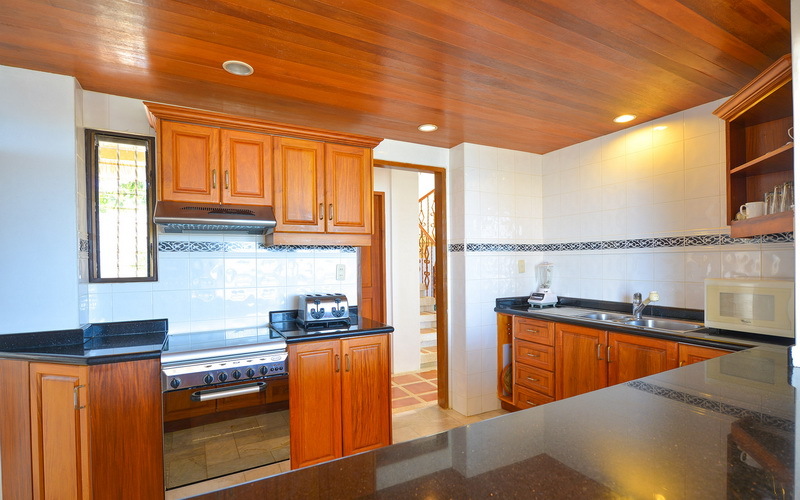 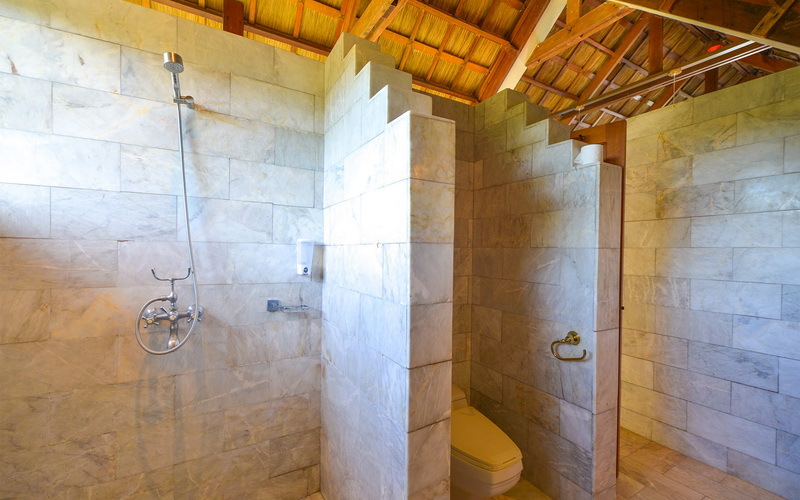 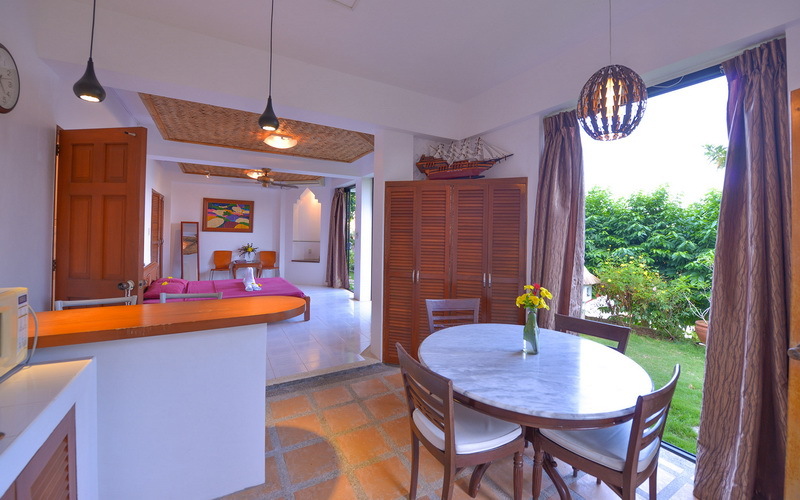 Villa Aloy is a home perched 215 steps from the ground of Diniwid beach. 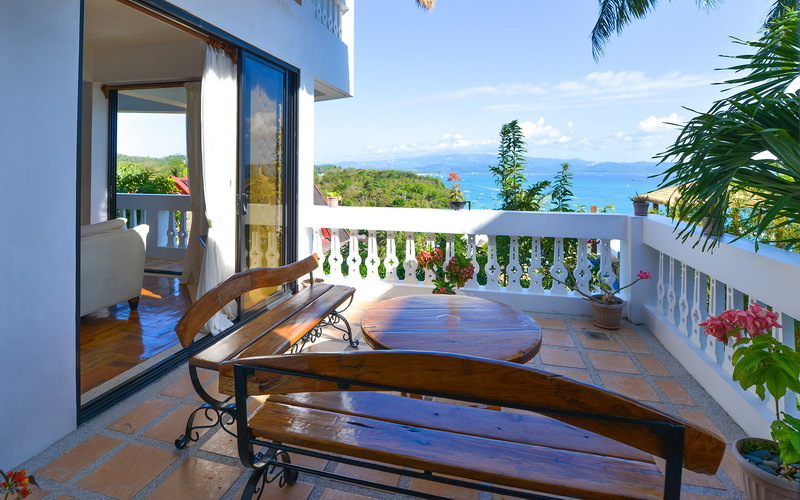 It gracefully slopes along the contour of the hill, cascading in three levels to embrace every angle of the marvelous panorama. 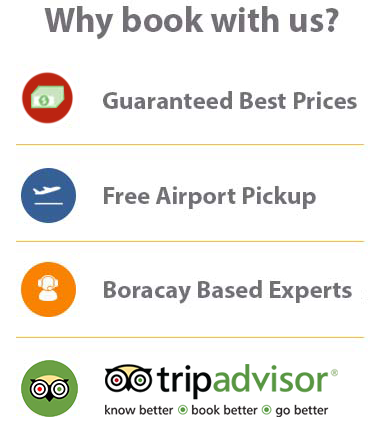 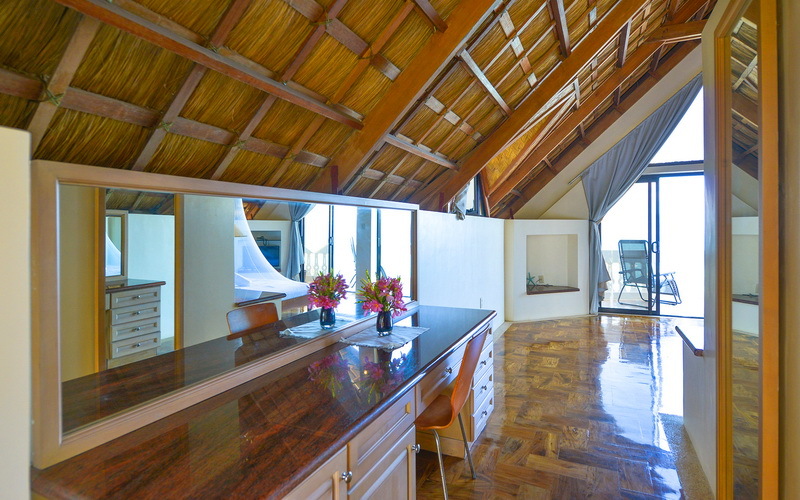 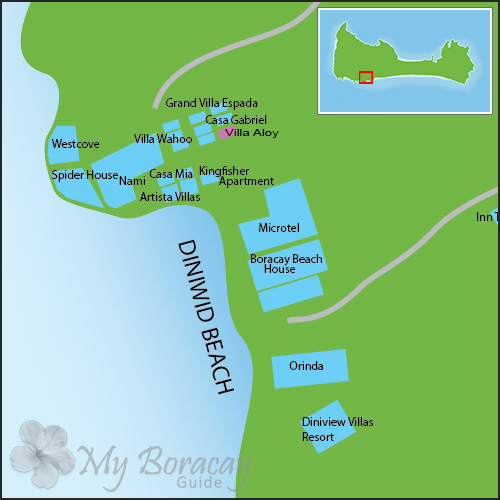 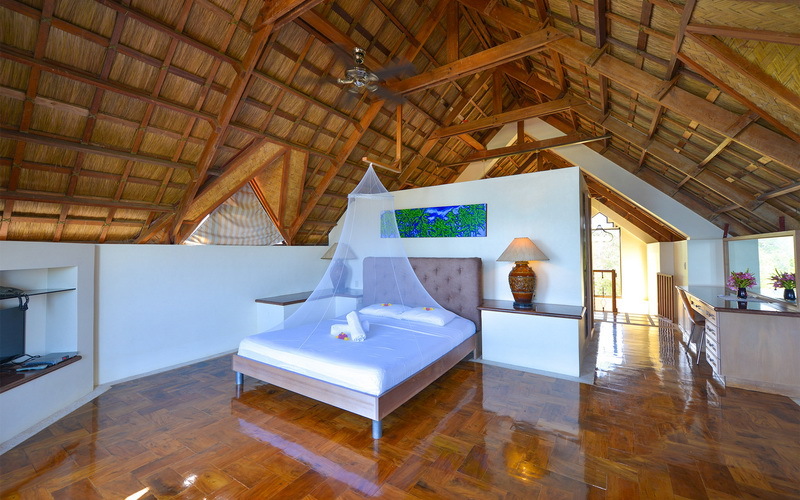 The property fulfills all elements of luxury living in the tropics. 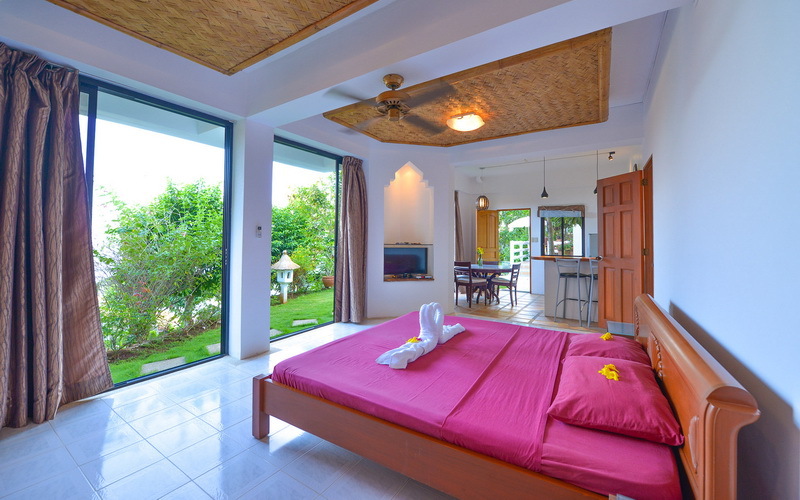 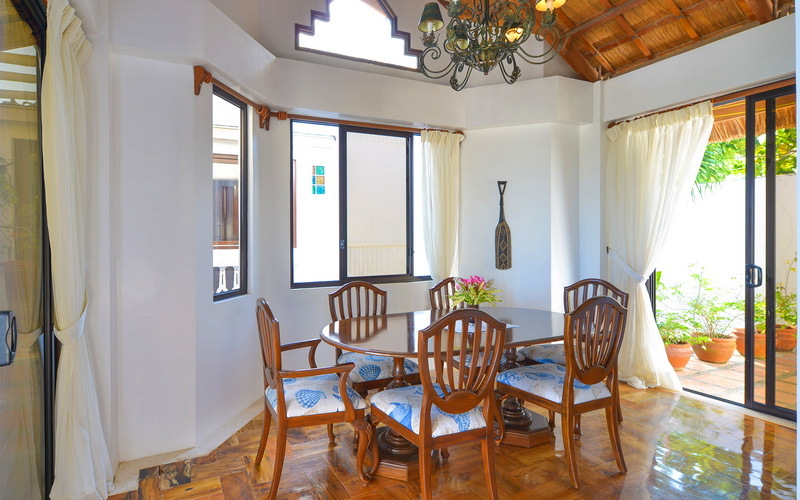 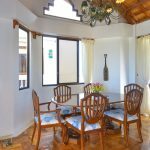 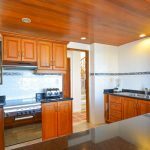 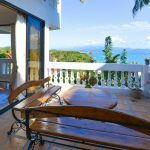 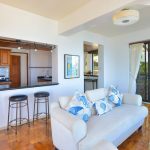 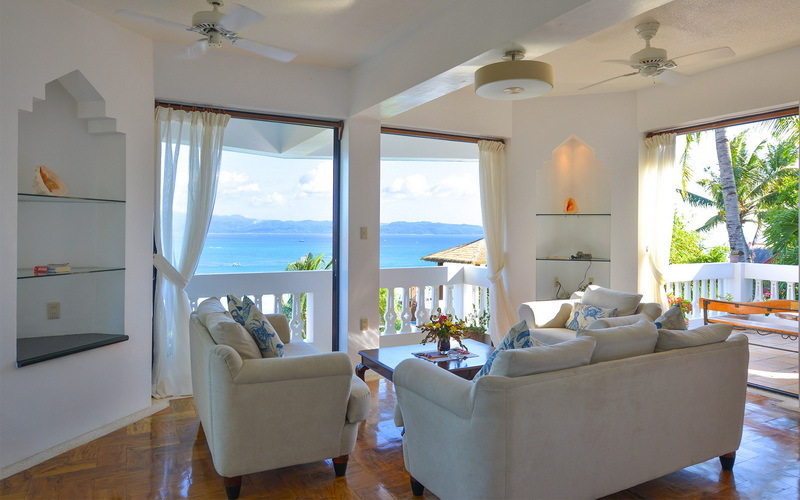 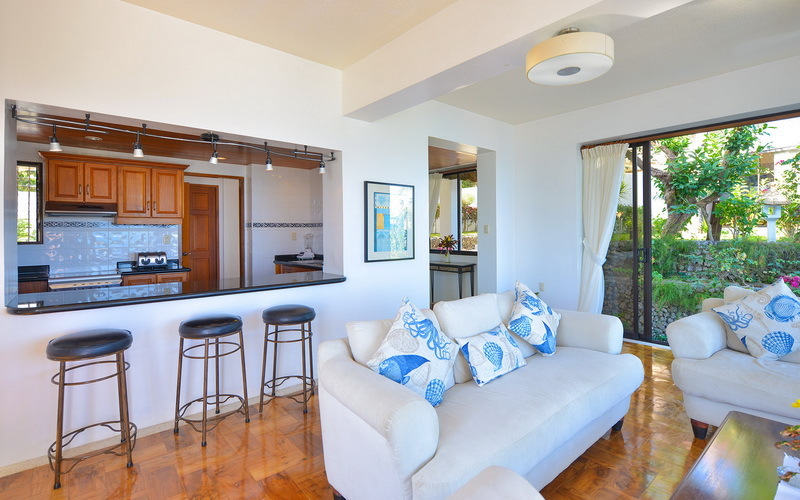 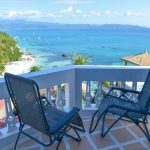 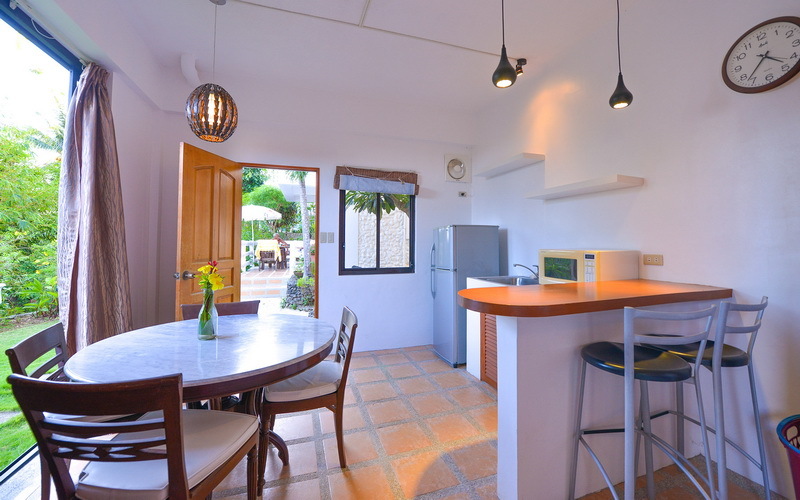 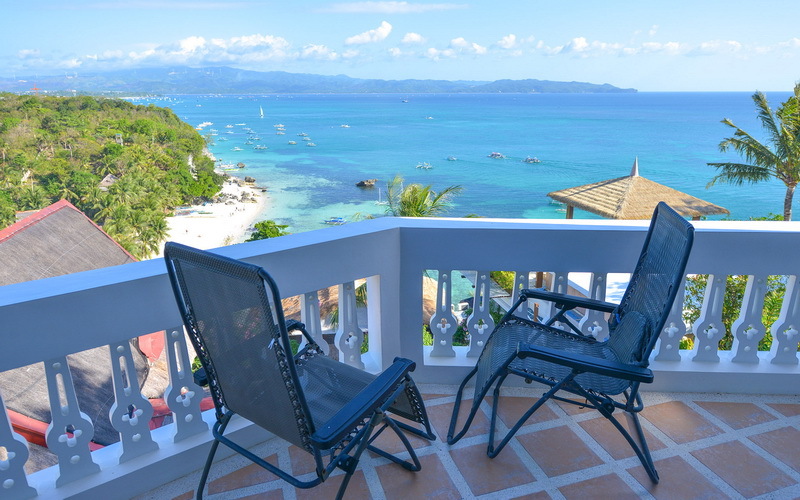 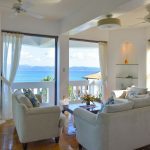 Villa Alloy features a lush garden surrounding the guest room at the ground floor, a lovely living area on the second floor with a balcony and a veranda for seaview dining, cooking and relaxation, and on the top floor with the master’s bedroom. 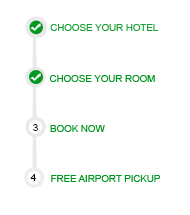 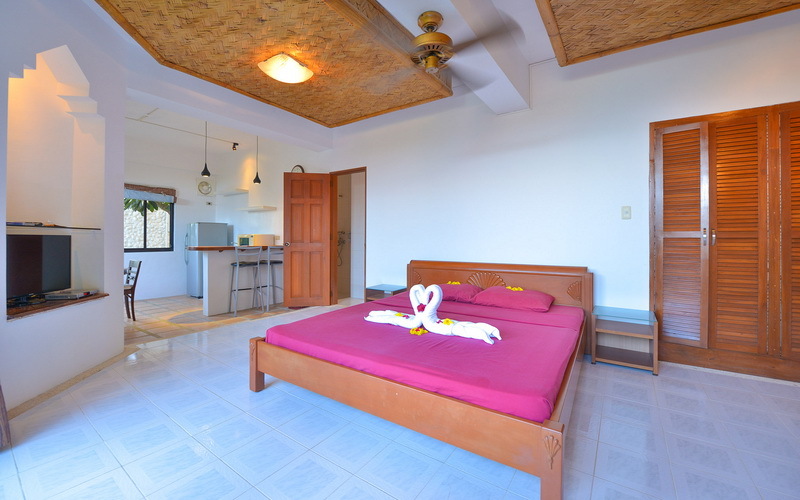 Each bedroom is furnished with a king-sized bed and digital components, connected to a private bathroom with hot and cold shower, and has its own veranda for outdoor privacy. 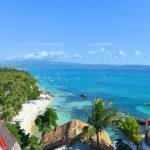 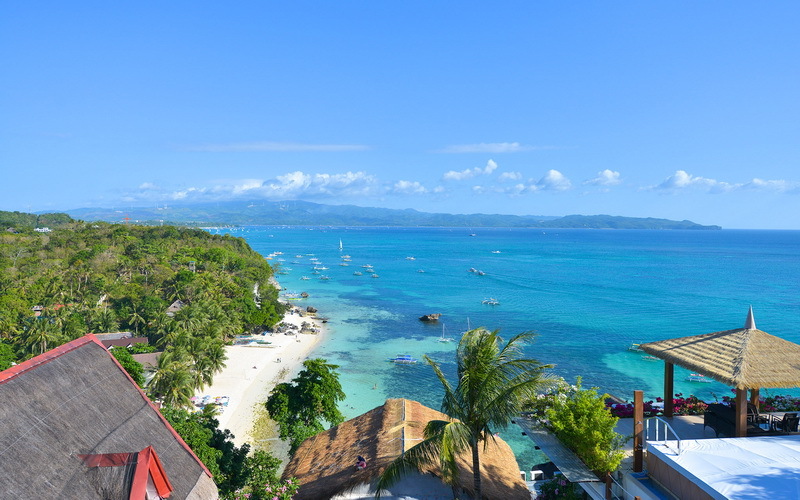 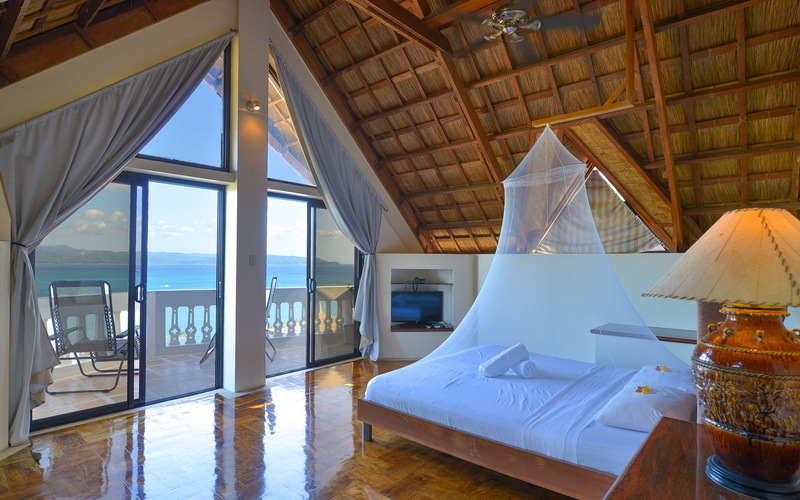 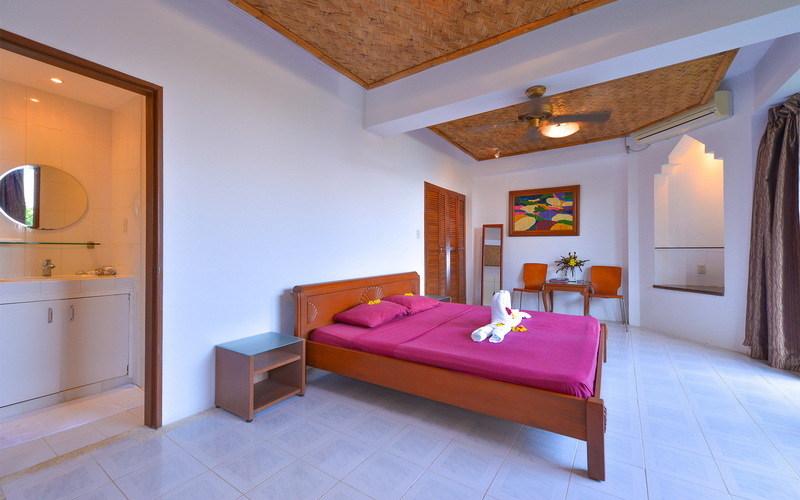 The master’s bedroom is bigger with an addition of an indoor closet, a baby-friendly gate that leads to the staircase, and a balcony that exposes the ever-changing moods of the day, from sunrise to sunset, as well as the islands vibrant beaches, Diniwid and White Beach.